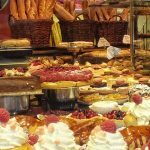 Driving through the countryside from Calais to St Omer past mini chateaux and sleepy towns with tall, spikey, church spires, jewel coloured cottage gardens, bright fields of golden wheat and red poppies, I reached the market town of St Omer. 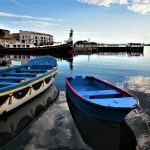 I was on a mission to discover the best food and beer of this part of France and had been to the best bakery in the north, enjoyed the gorgeous market in the town square, visited a cheese shop with unique cheeses and had lunch in a restaurant that only uses serves seasonal and local produce – including beer made in the town. 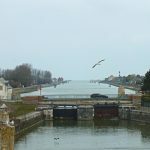 Now I was off to discover where that beer was made and visit one of the biggest breweries in the north – the Brasserie de Saint Omer. The brasserie isn’t your usual place for tourist trips and it isn’t open to the public though small groups can take a tour, but I’d asked to see it because their beer is so famous in France and the UK where much of it is exported to and I wanted to know more. 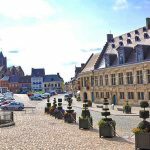 The beer making premises are in the centre of the lovely, ancient market town of St Omer and give no indication whatsoever of the sheer size of the operation. The offices and reception are in the old St Omer Cinema but this place is like Dr. Who’s Tardis and covers a total of 45,000 m². I was lucky enough to catch up with one of the most important beer makers in France – Monsieur André Pecquer, a thoroughly charming man who welcomed me to the factory. He told me animatedly that he had been in the wine industry and then the beer industry all of his life and at 75 he is still hugely excited by making beer. He started off with a tiny production in 1976, making local beer and selling it to shops and cafés in the area. His beer was very well received and the distribution channels grew… and grew… and grew. Last year he made 30 different beers – 700 million bottles, 90 million cans and 25,000 barrels of beer . The operation is still growing, 55% of the beer is exported – mainly to the UK and the rest of Europe and the Brasserie de Saint Omer is making inroads to China, Australia and Africa. Monsier Pecquer, the man who once made the beer and delivered it himself in a small van now runs a massive operation with high tech machinery and 350 employees – it is a huge success story. He tells me that he “still has lots of plans for development” and has no intention of stopping. He has a twinkle in his eye and a determined look about him and I have no doubt that he will go on to conquer more markets around the world and sell even more beer. 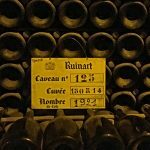 I took a tour of the factory floor, it is a quite incredible operation and a screen on the ceiling logs how many bottles are being produced by the hour. 32,040 blinks the screen as it the numbers spin, I’m incredulous. 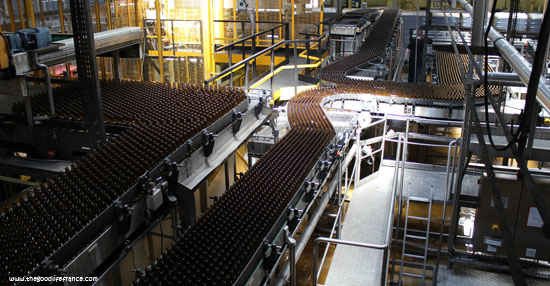 “That’s nothing” says my guide “this is a slow day, our record is 144,000 bottles an hour”. 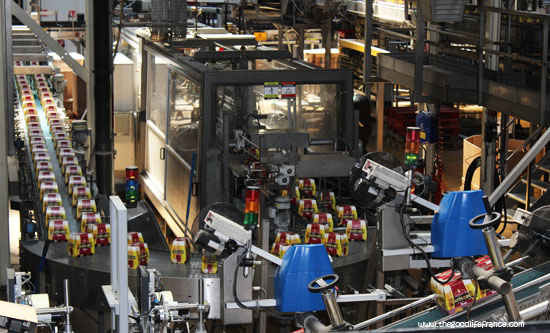 We walk on the overhead paths and watch the bottles being sterilised, filled, labels put on, lids on and into boxes, the premises are a sea of activity and awash with bottles of beer. 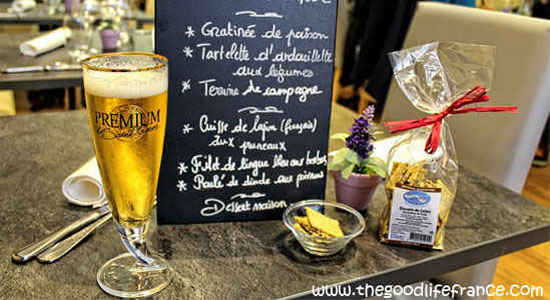 I ask Monsieur Pecquer what his favourite beer is and he tells me “when you’re thirsty you drink one beer, when you want a degustation, a tasty beer to savour you drink another” and his eyes turn to La Goudale, one of the Brasserie’s most popular beers in this part of France. He tells me that if you eat a lot you should drink “Triple beer” as its good for the digestion. 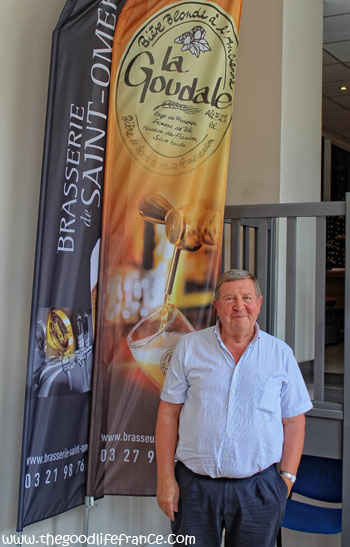 I confess that I am amazed at how big the Brasserie de Saint Omer enterprise is and how incredible that this has all come from one man with a passion for beer. “C’est une belle aventure” he says “and it isn’t over yet”. I leave with several delicious bottles of beer, the tour has made me thirsty.